Elsevier is committed to offering the widest possible dissemination of published research, so journal content is accessible electronically via ScienceDirect, Scopus and Health Advance. Our marketing approach complements this strategy, aiming to increase the visibility, accessibility and readership for your journal's articles. We use online, physical and print marketing channels to maintain a high level of visibility and awareness for your journal. Electronic marketing – using websites, search tools, alerts and email communications – is becoming increasingly important; it offers improved speed of production, better response times, improved customer interaction, clearly measurable results and greater flexibility. 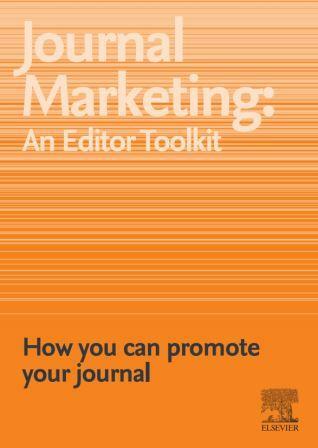 We know from editors’ feedback that many of you are keen to be involved in the marketing of your journal. 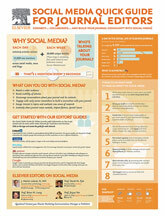 The Editor marketing toolkit highlights the areas where your experience and expertise can add value. Search engines such as Google play an important role in increasing the discoverability of content on our platforms. We optimize our website content to improve their position in the major search engine rankings, increasing the visibility of our sites and individual journals. Printed promotional materials such as posters, flyers, fact sheets, business and postcards can raise the visibility of your journal at key conferences and other events. Printed subject catalogues in which books and journals are promoted together display the range of available publishing options to potential authors. Print advertising can be arranged (subject to approval) in relevant Elsevier journals; selectively, we may also advertise in non-Elsevier titles when this is the most effective marketing option available. Elsevier has dedicated global exhibit teams, and we tailor our approach to each scientific meeting in a number of ways. Over the years, we have observed that conference participants are less and less inclined to take away promotional materials and journal sample copies from exhibition booths. In response to this, we have developed a more digital approach at exhibits where ever practical. In recent years, social media has become part of everyday life for researchers. To meet their needs, we have established over 100 social media channels which we use to promote new research and call for submissions across a vast range of subject areas. These channels give researchers an opportunity to interact with us directly and accelerate networking within their communities. Social media provides a fantastic opportunity for us to work together, providing researchers with what they want and need to know, building awareness of research and announcements, and attracting submissions for the journal. We encourage you, as an editor to support the journal on social media, whether suggesting social content to our marketing teams or by promoting the journal through your personal account(s).